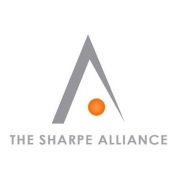 Job Description: The Sharpe Alliance is an integrated brand building, marketing and promotion company that specializes in strategic alliances and partnership programs. We create and enhance strategic alliances for companies in diverse industries including Entertainment, Sports, Health and Fitness, Technology, Beauty, Fashion, Children's Products and Services, Non-Profits and many others. The intern would be involved in all aspects of our client work including, but not limited to creative brainstorming sessions, research, client deliverables such as social media messaging, creative presentations, design work and general office support. Contact us: Please email resume to the enclosed email address. No calls please.